American poker players were once able to play online poker at any site they chose, gambling it up with the rest of the world as much as they wanted. Those days are long past, however, and now it is a new online obsession that seems to be getting the attention of online gamblers in the United States: daily fantasy sports. 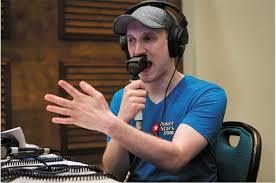 Jason Somerville seems to see a potential marriage between the two games. Somerville has recently begun working with DraftKings, one of the two leading daily fantasy sports (DFS) sites in the industry, promoting the site on his Twitch streams and using it to provide prize packages linked to his upcoming Run It Up Reno live series. The advertising for DraftKings has become a regular part of Somerville’s Twitch streams over the past few weeks, as he began to tell viewers that he planned to offer contests on DraftKings as a way to win their way to Reno. However, the amount of promotion truly picked up last week, when the first of those tournaments, a UFC contest linked to Sunday’s fight card in Saskatoon, Canada, went live. Beginning with a UFC tournament seemed only natural for Somerville, who has long been known to be a major fan of mixed-martial arts. Somerville has even said that the presence of UFC contests on DraftKings is what ultimately got him to try DFS, as it is the only sport he regularly follows. That first qualified sold out, drawing 520 entrants who put up $5 each. At stake was a $1,795 package that included a room at the Peppermill Resort Hotel in Reno, a $500 airfare credit, and a $565 buy-in to the Run It Up Reno Main Event. The contest, which required a private link distributed through the Run It Up streams to access, was ultimately won by Weehee, whose fighters picked up 522.5 points under DraftKings’ scoring system. While he didn’t cash in his own contest, Somerville also showed off some winnings that night, finishing second in another contest to win $1,500. But while UFC contests were an obvious starting point for Somerville, he is also running qualifiers in other sports. This week, a $10 contest for a PGA contest on DraftKings (based on the results of The Barclays, being held in New Jersey this weekend) quickly sold out, prompting him to run a second qualifier as well. NFL contests have also been promised in the future. The DraftKings contests fill an obvious gap in Somerville’s Twitch streams. 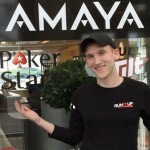 Since he is a PokerStars pro, and PokerStars in not available in the United States, the numerous Americans who watch his stream are typically unable to participate in activities related to Run It Up. On the other hand, there’s also the potential for a minor conflict between Somerville’s relationships with DraftKings and PokerStars. Amaya has recently acquired a DFS site of their own Victiv, which they plan to rebrand as StarsDraft and make available in the United States. Somerville’s promotional efforts could have major dividends for DraftKings. Somerville’s Twitch streams have attracted more than 7.7 million views, and he currently has more than 113,000 followers on the site.